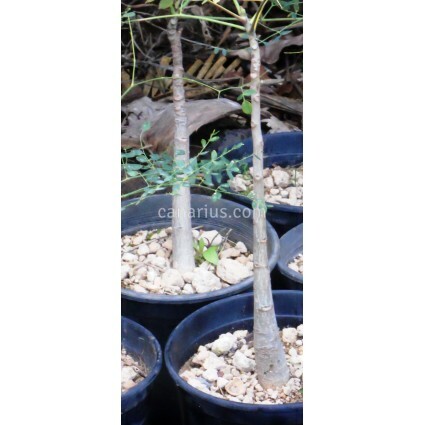 Baobab-like bottle tree from SW Madagascar with an unmistakeable white waxy stem. It is easy to grow, even in pots, but it will never become a really huge tree until it is planted in the ground. 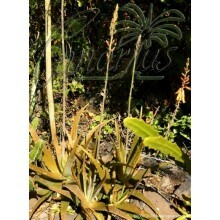 We offer plants like the ones in the pictures, about 3-4 cm in stem diameter. 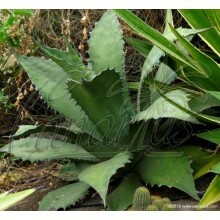 It is used in medicines and cosmetics. 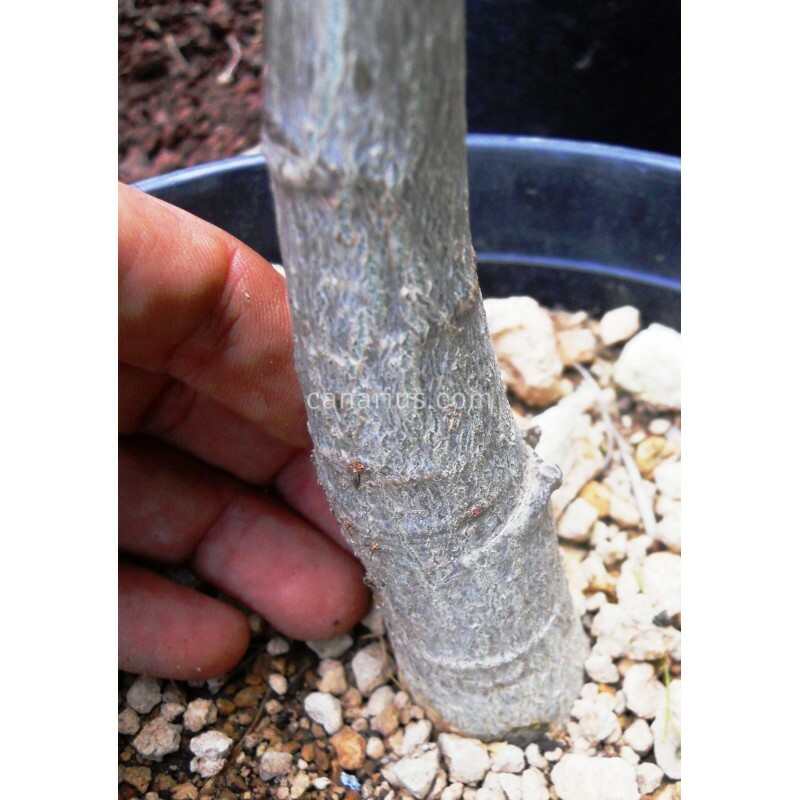 Baobab-like bottle tree, with an unmistakeable white waxy stem. It is easy to grow, even in pots, but it will never become a really huge tree until it is planted in the ground. The natural habitat is in the Toliara province, in SW Madagascar . It is dry thorny forest on calcareous soils. Rainfall may be as low as 200 mm per year and very unreliable. Completely dry years are not uncommon. The seeds yield an oil that is used as a base for cosmetic products and as a medicinal massage oil. The very strongly scented bark and wood are used for treatment of colds and coughs. The tree is often planted on field boundaries. 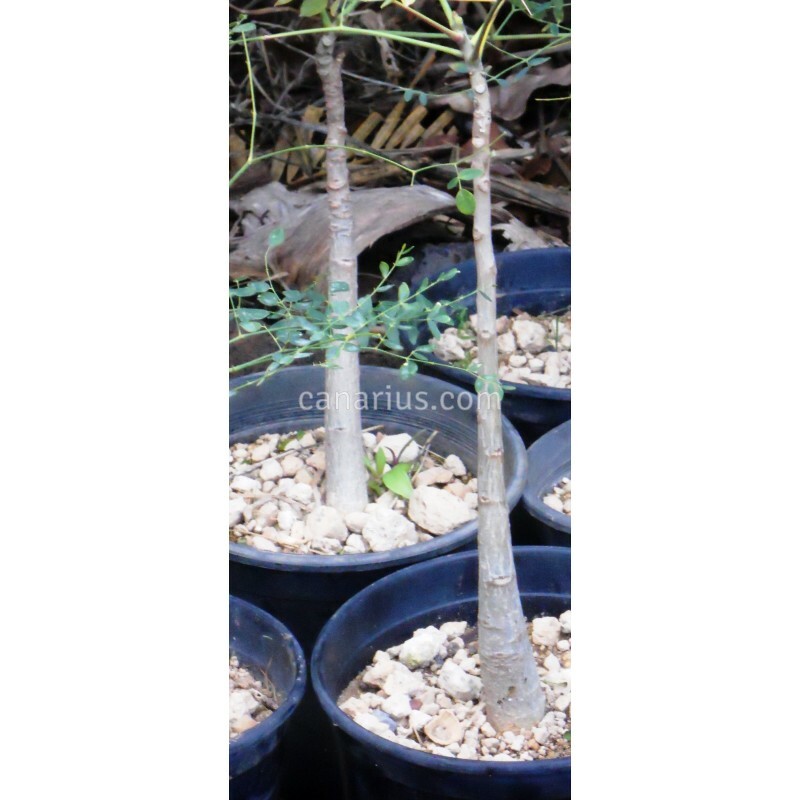 We offer plants like the ones in the pictures, about 3-4 cm in stem diameter, bare rooted. 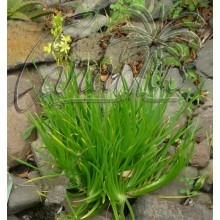 They will be wrapped in moist perlite or sphagnum if sent during the growing season. 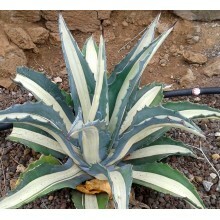 Plants will be leafless and dormant in the colder months.